A Bready or Not Original! 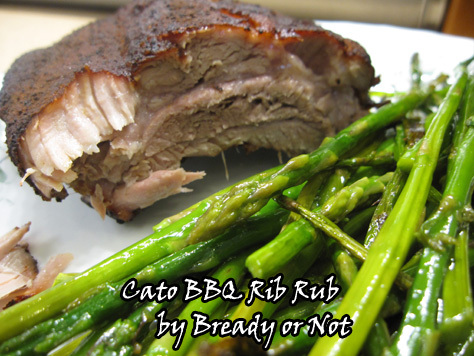 This rub mix will cover about 5 pounds of your favorite pork ribs; baby back ribs are excellent. If you have leftover mix that hasn’t been in contact with raw meat, jar it and save it for later! You can double or triple the recipe with that in mind. To intensify flavor, rub the meat and stash it in the fridge for a few hours before cooking. Combine rub ingredients well, making sure to break up any clumps. Coat the meat, front and back. Cook ribs as desired: smoke, grill, or bake.